Do you want to serve your clients better, and have the statistics your funders require? 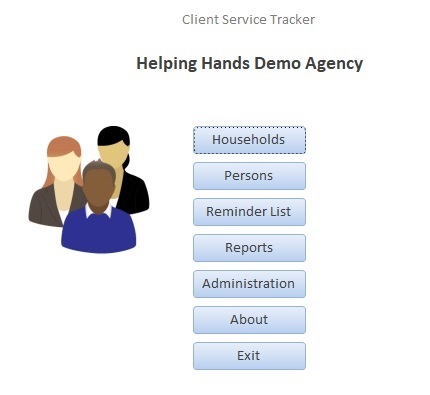 Use Client Service Tracker! Food pantry? Faith-based outreach? Shelter program? Counseling center? Other social service organization? Store contact and demographic information about each client. Store name and demographic information about all household/family members, if needed. 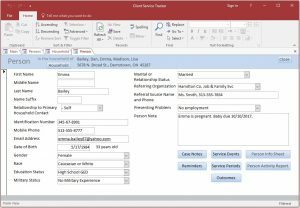 Keep freeform case notes on each client. Name and track the programs and services that are specific to your organization. Record service events (goods or services provided at a point in time) and service periods (goods/services provided over a time range) for each client. Record outcomes, tracking whether goals are met in the clients’ lives. 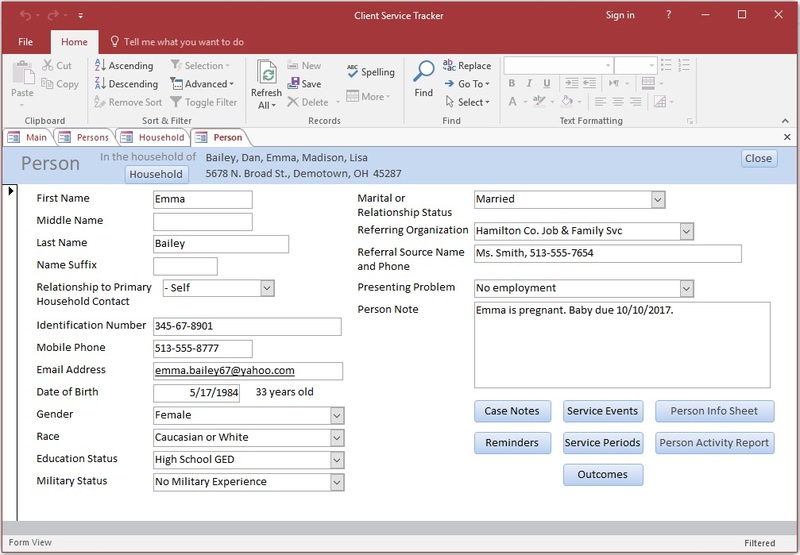 Track, for multiple persons in a household/family, their own case notes, service events, service periods, and outcomes, thus allowing multiple clients in a household/family. Print an Information (face) sheet and an Activity report for any given person. Generate up to 22 basic types of reports for groups of persons, using up to 9 different types of selection criteria, thus allowing for thousands of variations, as needed. Receive reports on groups of persons as Excel spreadsheets, thus allowing for further analysis and tabulating of the data, using all the tools that come in Excel. With Client Service Tracker, your data is on your computer, under your control, not in the “cloud.” (You can put it in the cloud if you wish, but that’s up to you.) You pay only a one-time fee to get and use the software, not an ongoing monthly charge. ~ Comment often made by agency workers.